Monserrat is using Smore newsletters to spread the word online. Joseph Jackson, Michael Jackson's father, had been a guitarist but put aside the musical aspiration. He believed his sons had talent so he created a musical group with them. The group was consisted by his older brothers, he joined the group when he was 5 years old and became the lead singer of the group. Their name was the "Jackson 5." His complex emotions soon impressed the audiences and recorded on their own a single but it fail. 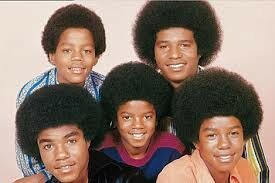 The Jackson 5 started working on the opening act for R&B artist. The Pips, Gladys Knights, and James Brown in others were signed to the legendary Motown record label. The Jackson 5 soon caught the attention of Berry Gordy, the founder. Berry Gordy signed the Jackson 5 to his label. The Jackson 5 moved to Los Angeles and stayed with Berry Gordy and Diana Ross while they settled in. "Diana Ross Presents The Jackson 5" was the name of their first album, this album hit the charts with their single "I Want You Back" landing number 1 in the Billboards Hot 100 chart. Jackson started a solo career at age 13, he hit the charts in 1971 with a song called "Got To Be There," this song was Jackson's number 1 solo single. The Jackson 5 had a very busy schedule with tours and recording, soon problems appeared between Berry Gordy and Joseph Jackson. This problem was over Joseph's childrens' career, the management over their careers. Jermaine Jackson, one of Michael Jackson's older brothers, stayed with the label for his solo career. Because of this now the group changed its name from the Jackson 5 to the "Jacksons." "Thriller" had twice as much sales than the successful "Bad." Michael Jackson earned a Grammy for best rhythm and blues with Billie Jean. He also was honored for other songs, "Beat It" and "Thriller." The Jackson 5 was soon introduced to the music industry in August 1969 at a special event, later the Jackson 5 was opened for the Supremes. Michael Jackson had a lot of top songs. Some of the songs were "Billie Jean," "Beat It," and "Rock With You." Another song is "The Girl Is Mine," this was a duet with Paul McCartney which nearly reached the top charts. This song also appeared on Michael Jackson's next album, which is "Thriller." 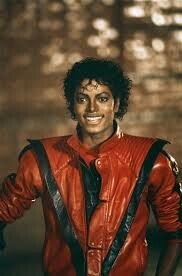 "Thriller" had seven Top 10 Hits, it also became the BEST selling album in history. 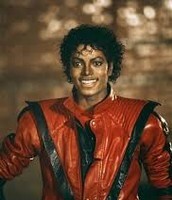 The "Thriller" video had a successful record. This album stayed on the charts for 80 weeks and stayed number 1 for 37 weeks. Michael Jackson earned 12 Grammy Award nominations, he had 8 wins which were both records. Jack went on a tour with his brothers to support the album "Victory." 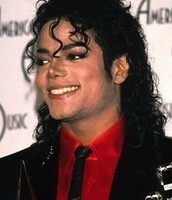 Jackson soon released "Dangerous" with the hit "Black Or White." 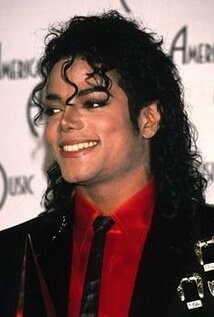 Jackson was born in August 29, 1958 in Gary, Indiana. He died in June 25, 2009 in Holmby Hills, Los Angeles, California. Jackson had a lot of nicknames some were, "M.J.," "The Gloved One," and "King Of Pop." M.J. had also had signed a $5 million contract with Pepsi Co, he was injured while filming a commercial. He was suffering burns on his face and scalp. He had surgeries to fix or repair his injuries and he was also experimenting plastic surgery.